My family and I raise Holland Lops. We are a small breeder, with around 60 holes. I strive to raise high quality rabbits and buy only the best show stock for breeding. 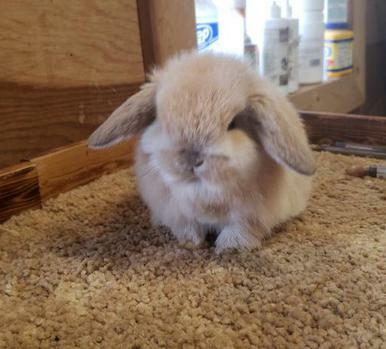 If you are looking for a Holland Lop bunny for sale...give me a call. We have babies available most of the time throughout the year. I will take a waiting list as well if you are looking for a specific color. In 2016 we will be added Netherland Dwarfs to our family as well! We are located in North Central Illinois. Please plan to arrive on time for your appointments. I thank you for your understanding. My availability right now is generally: Weekdays from 5-6:30pm. Saturdays from 1-7pm and Sundays from 11-4pm. These times can change so please understand I will do my best to accommodate your pickup. But I cannot do later in the evenings. 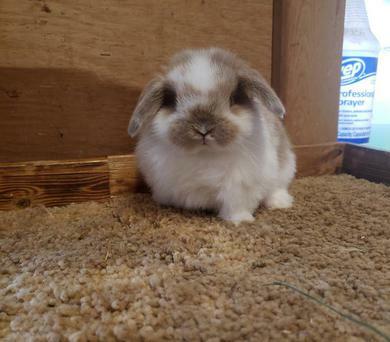 If you are looking for a 4-H or show bunny please let me know in advance! I will take more time to evaluate and get you a bun with show potential. But if I don't know you are looking for show quality you most likely will not get show quality.